This is the second part of two tutorials about creating and using email newsletters. In the first tutorial we showed how to create your own email newsletter for free. In this part we'll first show how to send an email newsletter using Gmail, and then we'll look at how to use the newsletter if you're a Second Life resident but don't have a client base of email addresses. Before going any further it is important to stress that you should never send an email newsletter without the permission of the recipient, and the newsletter should include an unsubscribe option. In many parts of the world this is stipulated by law, and by not adhering to this you simply become an annoying spammer. Another point to keep in mind is, if your Gmail account is used to send over 200 of the same emails each day, Google will consider this spamming and will block your account. So, if you're a Second Life resident wanting to contact lets say 500 group members this will need to be staggered over a number of days. Other trusted management level members of a group can also be enlisted to send out the newsletter to cut down the time it takes. If all this seems a chore, try to remember this is about keeping in touch with, engaging with group members, friends and clients etc, and keeping them informed which in turn creates loyality and respect. Just as importantly, whilst none of your competitors may be doing this, it gives you an edge. Follow the steps below to set up the newsletter template created in part one of the tutorial. 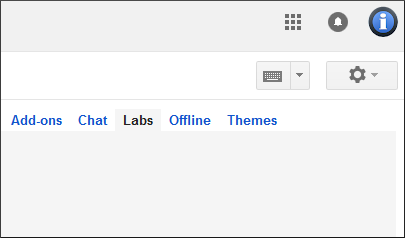 1/ Open Gmail and to the top right click on the cogs icon. 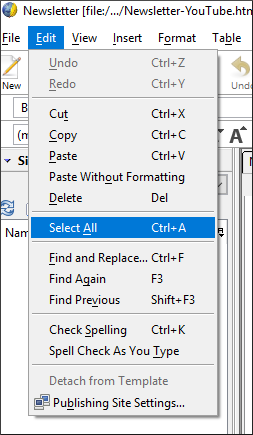 From the drop down list select Settings. 2/ At the top of the page there will be a menu of headings. Select Labs. 3/ A list of options will now be displayed. Somewhere near the top will be a Canned Responses choice. Select the Enable radial button. 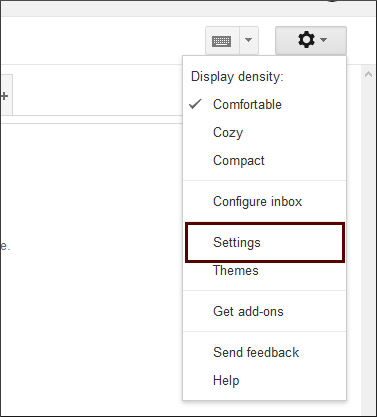 The Settings page in Gmail can now be closed. 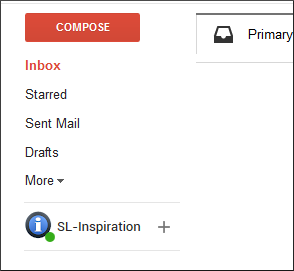 4/ Now hit the Compose button to the top left of Gmail as if you're about to create a new email. 5/ To the bottom right there will be a drop down arrow, highlighted in red in the image above. Click then select Canned Responses from the drop down list. 6/ In the small window that opens name the newsletter and click OK.
7/ In part one of the tutorial we used KompoZer to create the newsletter template. 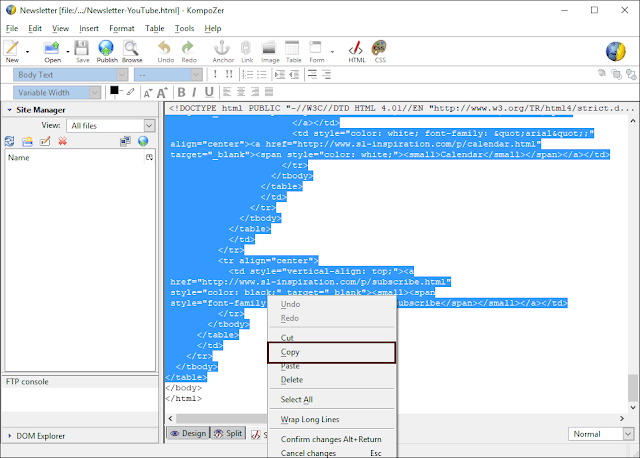 Open KompoZer with your newsletter template file loaded. In design mode select Edit > Select All. 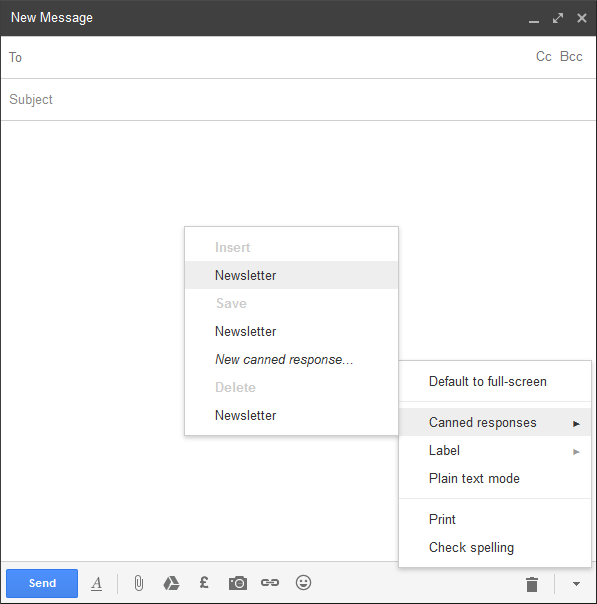 8/ Back in Gmail, open the newsletter canned response and paste what was copied from KompoZer. 9/ Under Save (the text is quite faint) you'll see the name of your newsletter. Click it. 10/ Now you'll be asked to confirm overwriting the template. Hit OK.
11/ Your newsletter template is now ready to use. 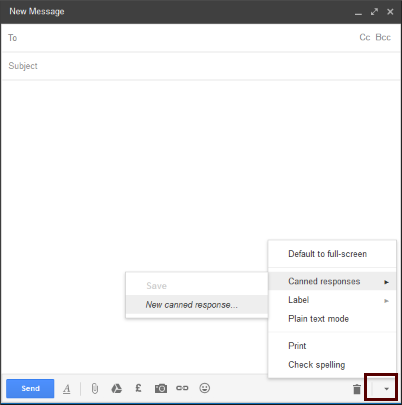 Each time you want to open the template hit the Compose button in Gmail, then select Canned response and click the name of the newsletter from the Insert option. Each time the newsletter is used it can be edited to change any text and to personalise it with the recipient's name. 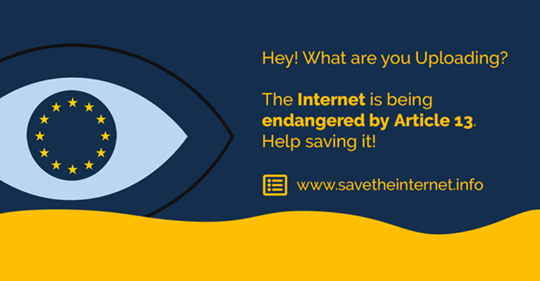 However, do not click Save unless you want any edits to be permanent. Also, do not Cc the newsletter to multiple email addresses at a time because sharing someone's email address with strangers is an invasion of privacy. This would be a good way to lose customers, clients or friends etc. 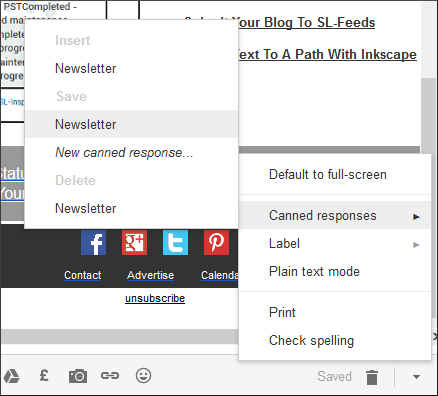 If creating a canned response within Gmail to send out your newsletter doesn't seem the best option for you, another approach would be to use Blogger as an alternative. 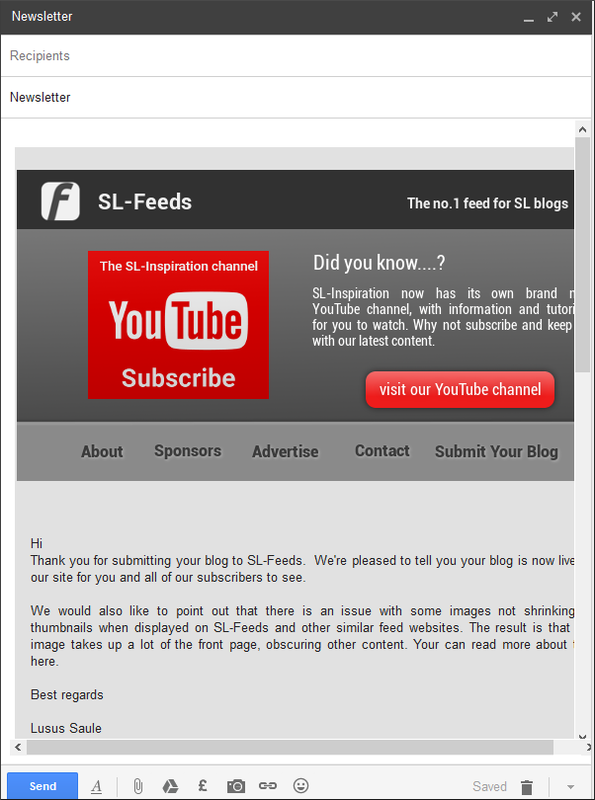 As I mentioned in the first part of this tutorial, I send a newsletter response after I have added someone's blog to SL-Feeds. 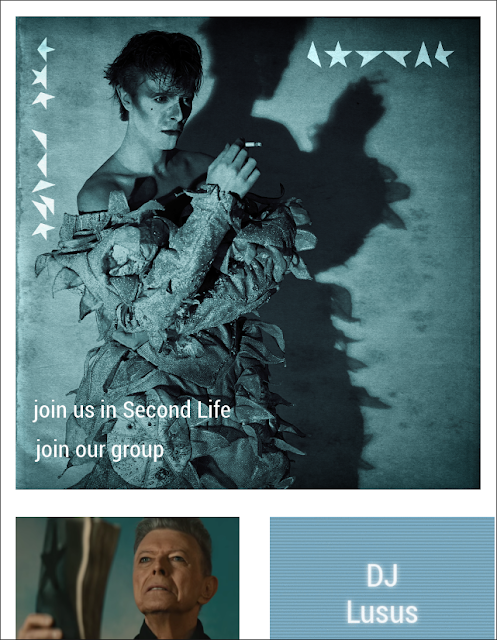 However, I have also used the newsletter concept to promote a David Bowie tribute event I organised in Second Life. Whilst a newsletter would typically have images and links to items you'd want customers, friends and clients to be aware of, the approach used to promote the Bowie tribute was to make the newsletter entirely about that one event. The top of the page shows a section of the newsletter, but how this works can best be viewed here. This can be particularly useful for time sensitive events. Although some Second Life clubs have blogs, they're not often visited by patrons because people want information from webpages, (not images of avatars dancing etc). A newsletter page can therefore be a quick and easy way to highlight information about a Second Life venue and what is happening there in the short term. The newsletter can also be seen in world as media on a prim, and even be turned into a hud to be given to interested parties. For anyone interested in creating this kind of newsletter I have created a blogger theme for the purpose. It is essentially a stripped down blogger theme, that can easily be tweaked for your own use. You can download the theme here. Since its uploaded to Google Drive you can be sure the file doesn't contain anything malicious. Firstly, create a newsletter template in KompoZer as described in the first part of this tutorial. Then follow the simple steps below. 1/ With KompoZer open and the template file loaded select the Source tab at the bottom of the window. 2/ Now you need to drag your cursor over all of the table code to highlight it. Make sure it is just the code for the table you select. Everything above the first <table> tag is not needed. Similarly, everything below the very last </table> tag is not needed. 3/ Once all the table code is highlighted right click and select Copy. 4/ The next step assumes you've already created a Blogger blog for the newsletter theme, but if you're not sure how to install a Blogger theme, this tutorial will explain. Its a very easy process. 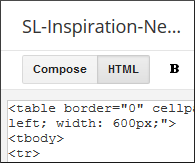 5/ Create a new post in the newsletter theme blog then select the HTML tab towards the top left. Now paste the table code from KompoZer. If you now click the Compose tab you'll see the newsletter has been added as a blog post. Hit the Publish button to the top right and the newsletter is live. If you would prefer to use a different blogging platform to Blogger this should be fine, so long as you can add the table code as a blog post. Thats all there is to creating your very own newsletter to distribute to your target audience. This is a novel way to promote items within Second Life and beyond. Being one of the first to use this approach helps to put you ahead of the game.